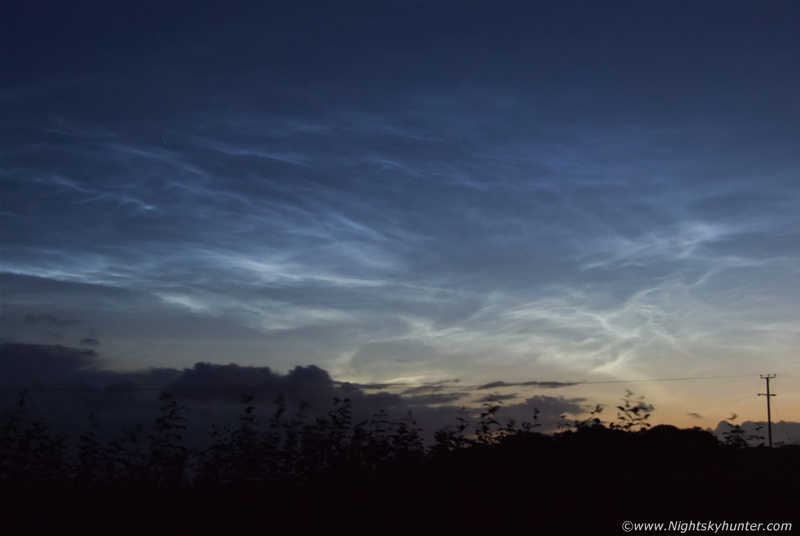 June 19th 2009 before dawn in the Maghera countryside watching the most epic NLC display I have ever witnessed begin to merge with morning twilight still sporting complex whirl structure before the rising sun washed the display from the sky. Captured with my old Fujifilm S6500 bridge camera. * All images are available for sale in the form of photo prints, canvas or digital files for licensing, if you are interested in a purchase simply drop me an email.